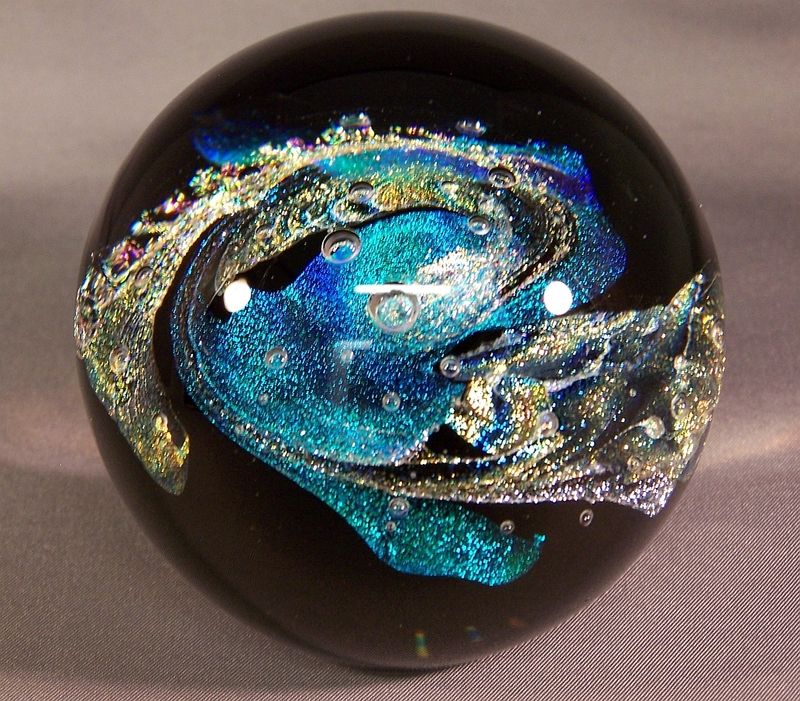 PAPERWEIGHTS- Ron began working with blown glass in the early 1980s and quickly settled into making Dichroic paperweights. 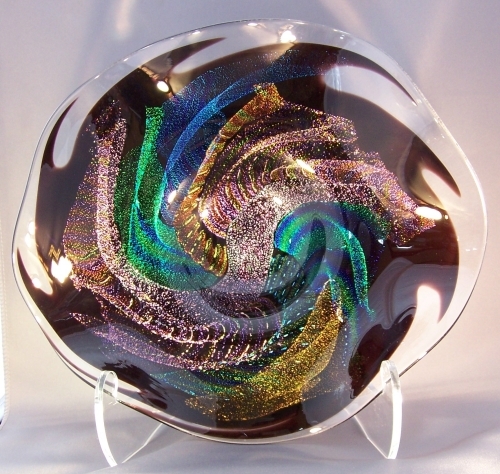 Dichroic glass is glass that has been coated with multiple layers of exotic metals and produces vibrant reflected colors when placed against a dark background. 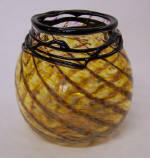 Only recently has he expanded into creating blown vessels. 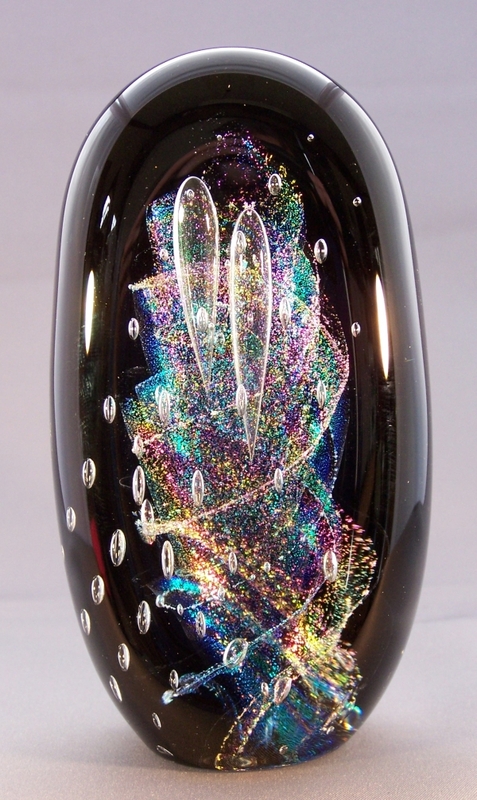 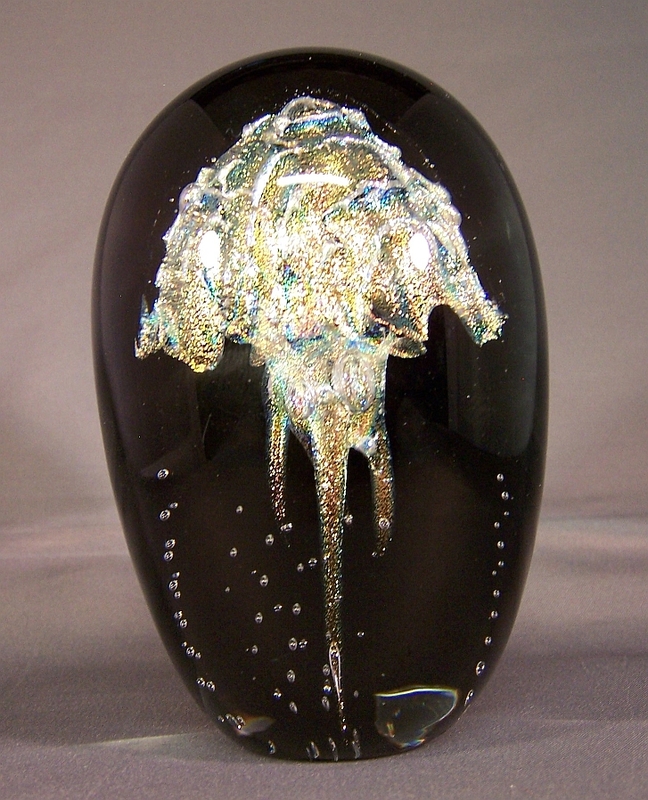 Spiral Galaxy - 3.5" Jelly Fish - 4.5" Nebula - 3.5"
All sizes are approximate and are given for reference purposes. 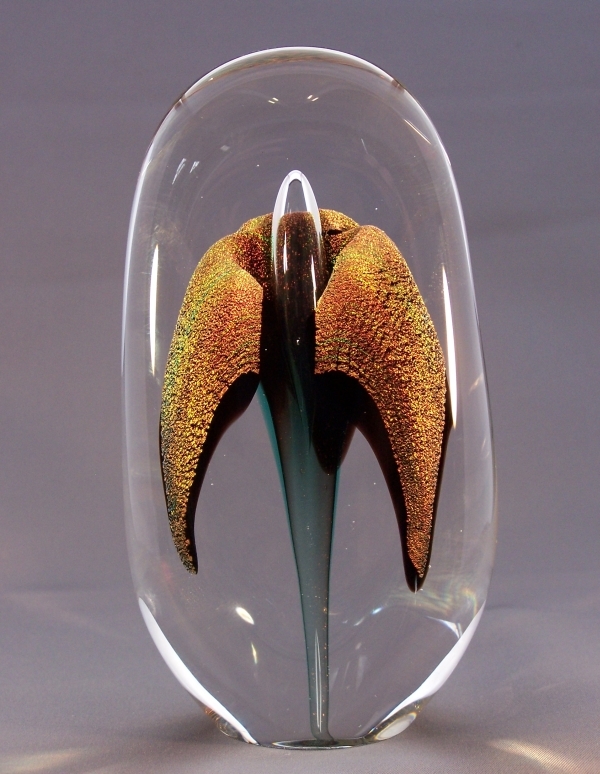 If you are interested in any of these pieces, email Ron. 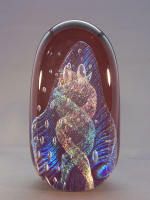 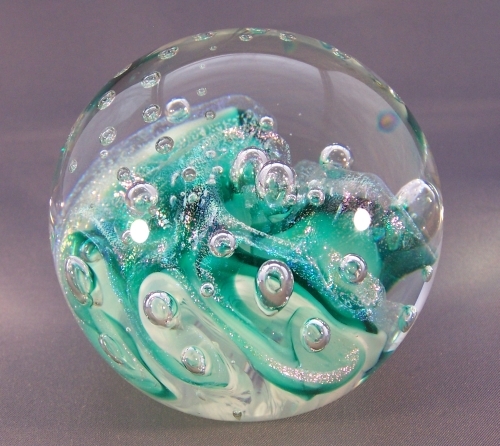 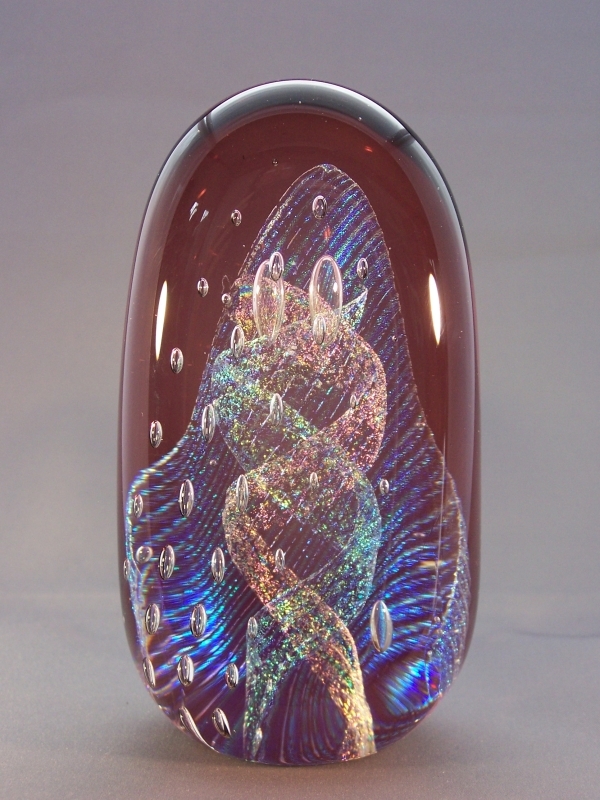 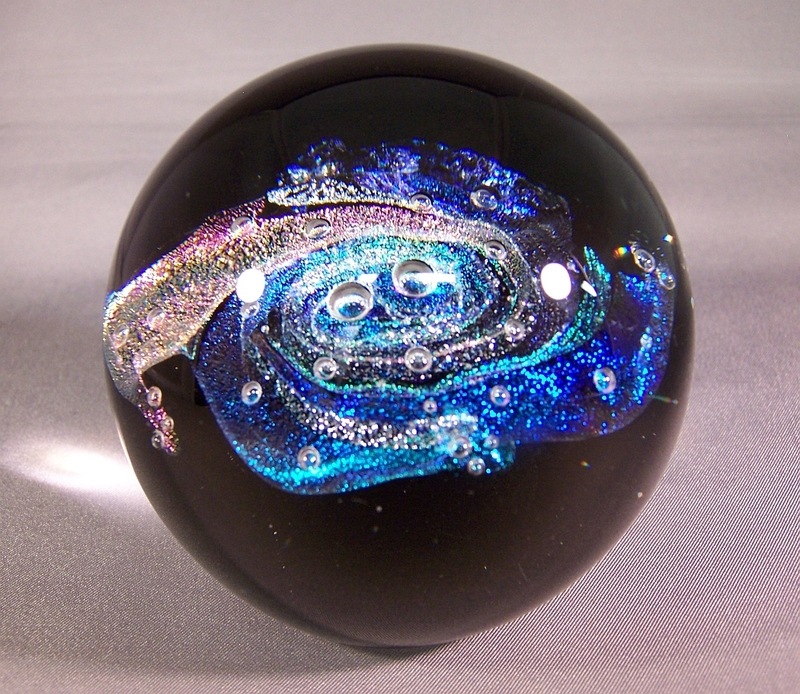 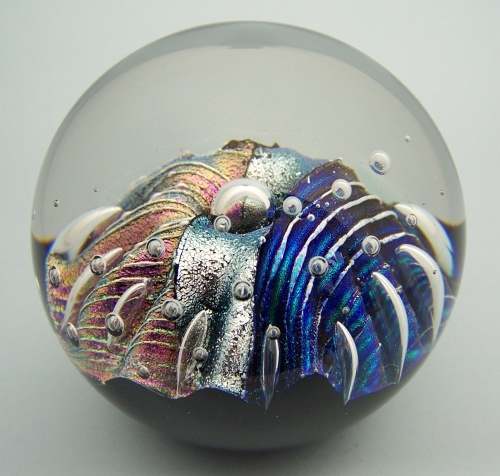 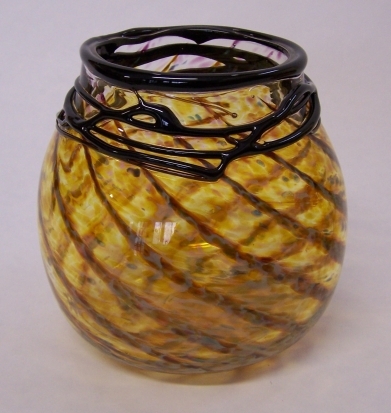 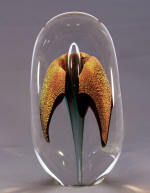 Wholesale buyers can view and purchase Ron's paperweights through WholesaleCrafts.com. and may not be duplicated under penalty of law. 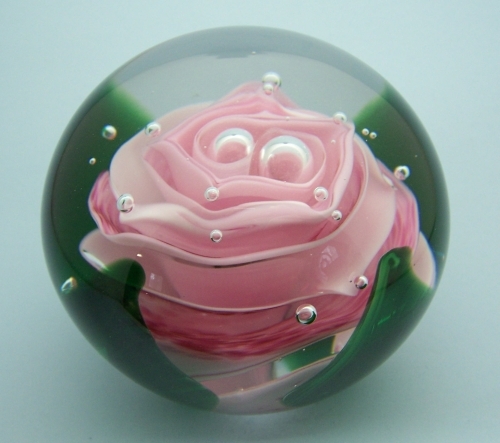 This site is created and maintained by Homesteadweaver Web Design.